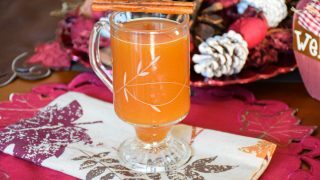 Hot Fireball Apple Cider is a warm you up easy to make beverage made with apple cider and Fireball Whisky! The cinnamon flavored warmth from the Whisky will have you toasty and comfortable in even the chilliest of days or evenings! 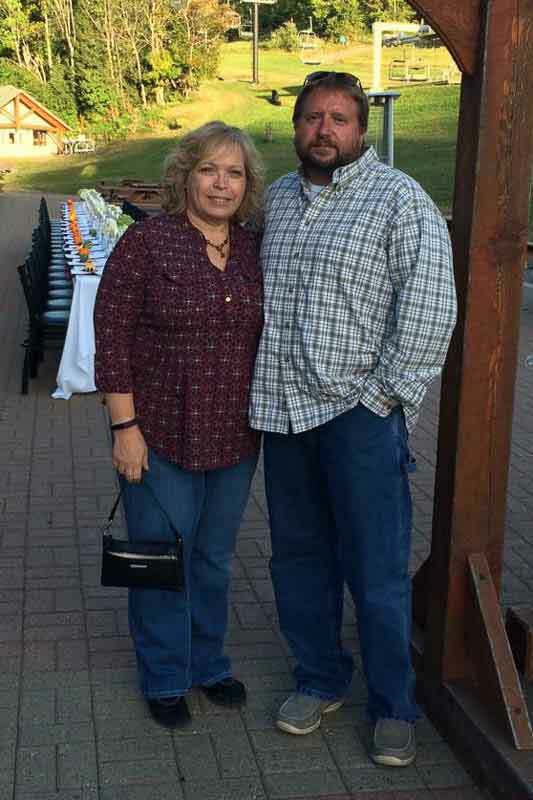 It’s not often that Grumpy and I go out on an actual date. However, this year we celebrated my birthday early during the Harvest Moon at Windham Mountain. We celebrated the oncoming fall in style and saw the beautiful harvest moon from the mountaintop. After drinks and appetizers, we went back down the Skyride to the lodge where Chef Arquette served us a delicious 5-course meal. This was an experience that we both will remember and look forward to doing again! At the beginning of our evening, while at the top of the mountain enjoying our charcuterie board, we were also offered other libations of our choice. I was quite chilly, so to warm up, my choice for the evening was Hot Fireball Apple Cider. And, I loved it so much I decided I had to share this yummy hot toddy with all of my readers! A quick and easy warm you up hot toddy! The recipe is straightforward! Basically to make this Hot Fireball Apple Cider you need about 6 ounces hot cider and 1-1/2 -2 ounces of Fireball Whisky. Heat your apple cider on the stove top or microwave to your desired warmth. Pour into a mug and add 1 shot glass of Fireball Whisky. I used my Princess House Footed Irish Coffee Mug for serving my Fireball Apple Cider beverage in. I just love the footed mugs, they are pretty and makes me feel like I’m serving a fancy drink! They are not necessary, but many people mention that they love the mugs. The Princess House ones are quite expensive, but there are many mugs you can find on Amazon that are footed and work just as nicely! One example is the Arc International Irish Footed mug. You get a set of for for a far more reasonable price! Pin this image of Hot Fireball Apple Cider! A list of warming beverages for those chilly day or nights! 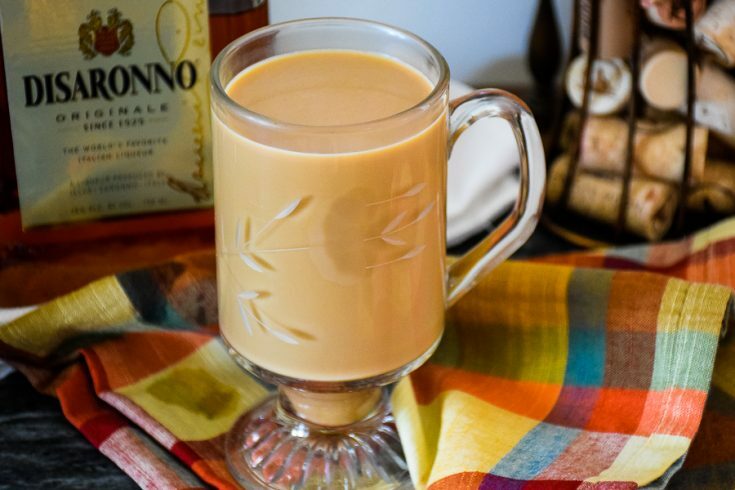 A creamy, warming beverage with Irish Cream Liquor! 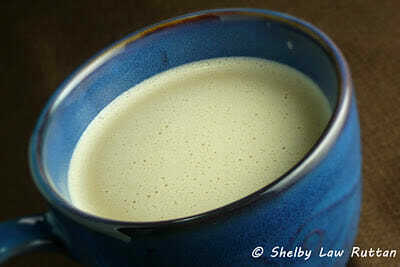 Almond Coffee Cream is a simple 3 ingredient recipe sure to warm you up! Made with your favorite coffee, Amaretto Liquor, and heavy cream. Warm up with a honey bourbon hot toddy. An apple cinnamon hot beverage that will make you feel all warm and toasty on those chilly evenings! 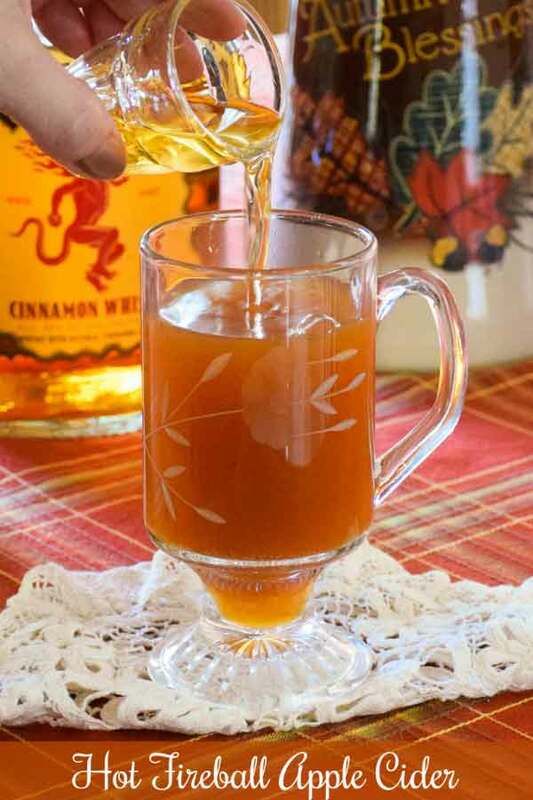 Pour 1-1/2 to 2 ounces Fireball Whisky into hot apple cider. Stir with cinnamon stick.Enjoy! Perfect for cool fall evenings. Great for company too. I need a bottle of Fireball! Your early birthday date sounds amazing! So does this drink! What a great way to warm up on a crisp fall day! This sounds delicous to me. I have never heard of Fireball Whiskey but I do have some Hot Damn Schnapps on my shelf that I think would work perfectly. What a simple but tasty-sounding drink! Perfect for chilly days. 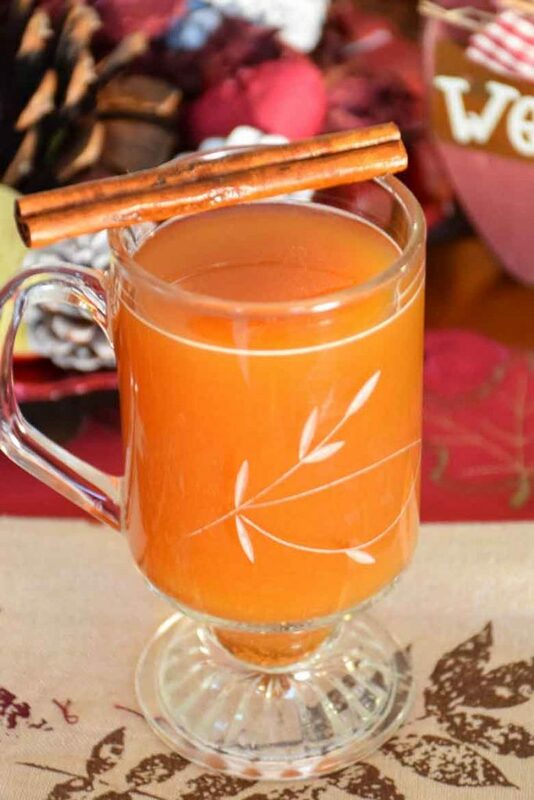 Spicy cinnamon and apple cider sounds amazing!